Do you love scones? 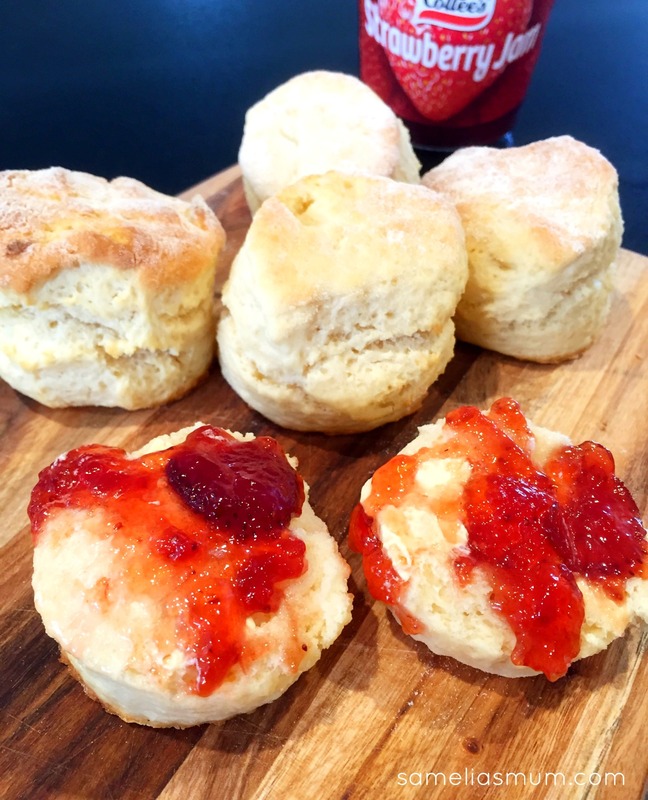 I thought I'd share this recipe for EASY scones, which is my go-to recipe. It is fast. It is easy. And best of all, I usually have all of these ingredients in the refrigerator. 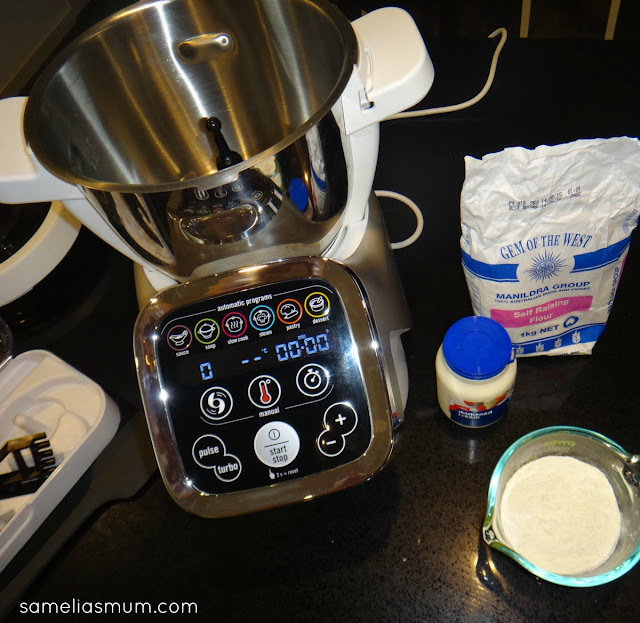 I found this recipe online a while back and have tweaked it a little, so that I can mix the dough in the Tefal Cuisine Companion. Preheat the oven to 200 degrees celcius (or 180 degrees fan forced). Place all of the ingredients into the CC bowl fitted with the kneading/crushing blade. Mix at speed 9 for 20 seconds until the ingredients are combined. The dough will be in a ball - lightly knead the dough on a floured surface. 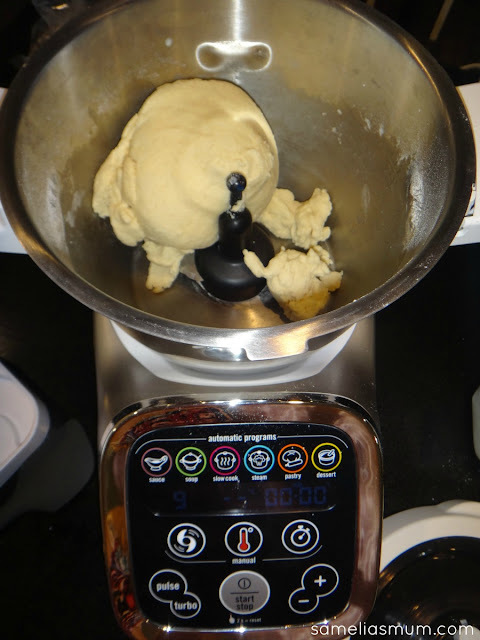 Flatten out the dough to approximately 1" thickness and cut out 12 scones. Place on a lined baking tray and bake for 12 minutes until the tops are golden. I always end up baking a double batch of these scones. The last quite well in an air tight container for a couple of days. 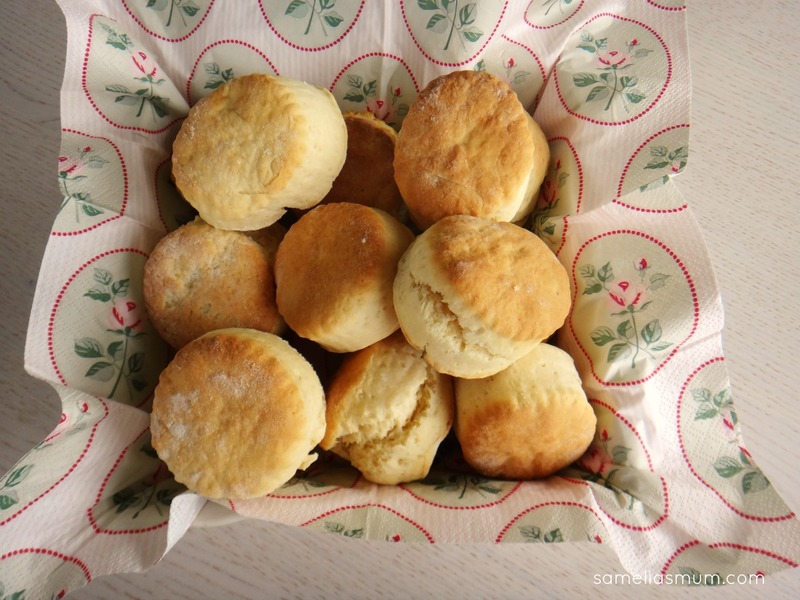 What is your favorite scone topping combination?